The best musical wishes for 2012! It is over-year music 2011. Time for a brief photographic retrospective and of course the traditional New Year's card. Traditionally it is also free (pet)game "Call of the artists on the map '. …was the absolute highlight, the purchase of two photos (Muse & Keith Richards) by Roman Abramovich for his exclusive London club 'Under the Bridge’ under the Chelsea stadium and the associated visit to the club for an exclusive VIP opening. …was certainly the opening of the renewed Exit with my pictures on the wall and the associated party another beautiful event 2011. …I exhibited in the Central Library and the Central Discotheque, op Route Du Nord, and Exit in Rotterdam. …published my pictures in NME, Rolling Stone, Japanese, South African and Russian magazines, books and documentaries. Where my portrait of Anna Calvi photo was most sold: o.a. reclamecampagne in NME en Rolling Stone. …hit my photobook planning a bit on the back burner, but I'm going there again next year hard get to work. Ideas, sponsors and feedback are still very welcome. 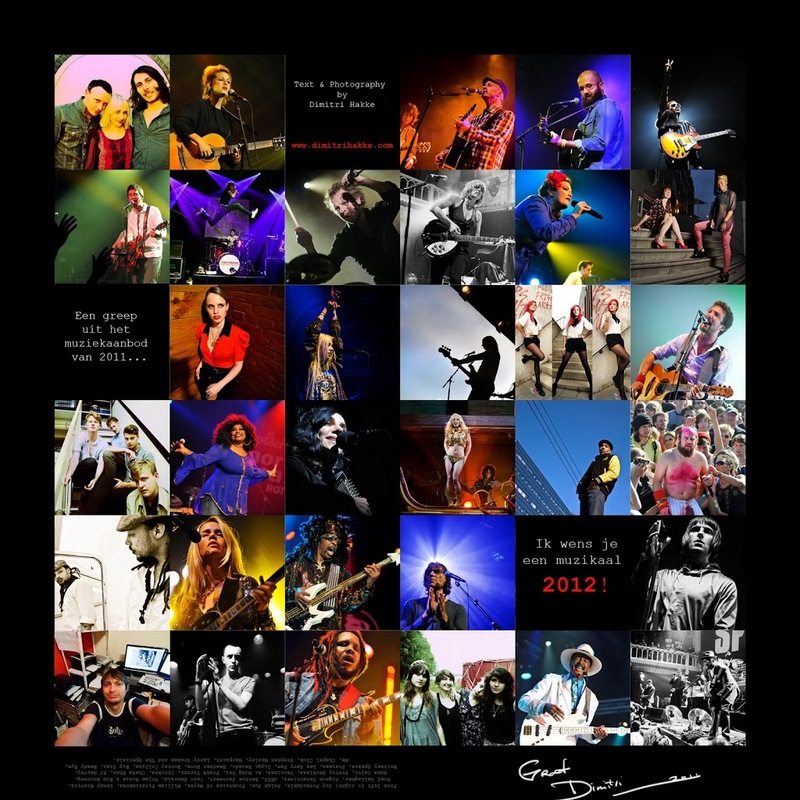 …were the most memorable concerts: Specials (Paradise), Noel Gallagher (Galaxy), dEUS (Wedding), PJ Harvey (Paradise), Big Star (Horse) en Joy Formidable (Rotown). Also memorable , but more because concert went out like a candle: Morrissey op Lokerse Feesten. …and my most successful pictures of Pigeon Detectives, Anna Calvi, Big Star, Lenny Kravitz en dEUS. …I portrayed more artists than in 2010 (for o.ä. cover NL10), hopefully next year more great photo sessions. 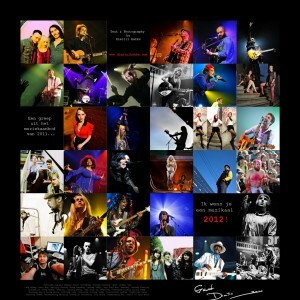 …his assignments – musical or not – , more than welcome 2012. On to music years 2012! With the program o.ä. childhood heroes Black Sabbath and hopefully The Stone Roses!